Soaring to victory on the back of Arclight Phoenix, Eli Kassis defeated Hunter Cochran to win Grand Prix Oakland! The hashtag for Grand Prix Oakland Is #MTGOakland. Join the conversation. Modern is the favorite format of many, lending itself to combo, aggro, control, or anything that a player can dream up. 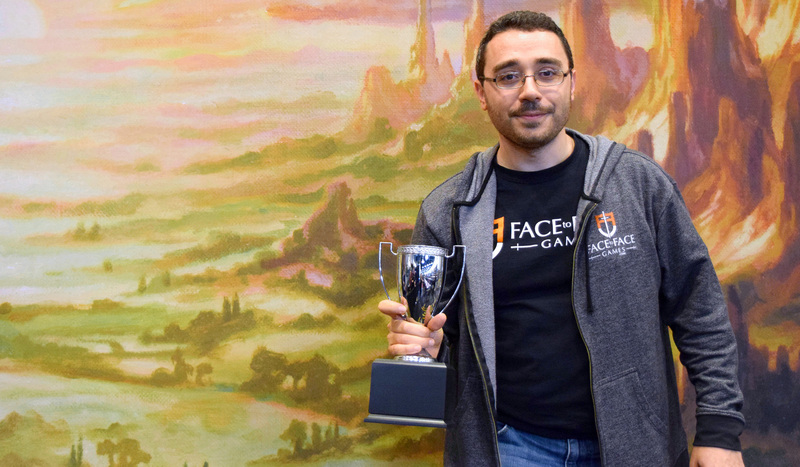 Eli Kassis, who found his own spin on the Phoenix craze sweeping Modern, flew past 1,118 competitors to claim the Grand Prix trophy (not to mention lock Platinum) here in Oakland. While the field was largely Bant Spirits and variations on Arclight Phoenix decks, the Top 8 was dominated by four copies of Krark-Clan Ironworks combo. The sole copy of Izzet Phoenix in the Top 8 managed to take down three successive KCI opponents to claim the prize. While the Modern metagame will always be changing, Eli Kassis seems to have it figured out, for this weekend at least. This weekend showed the continued rise in the popularity of Arclight Phoenix in the Modern metagame. However, it was KCI and Burn that rose to the top of the standings after 9 long rounds. This weekend promises to answer some interesting questions about the evolving Modern metagame as many decks come prepared for the growing popularity of graveyard strategies. Some rogue decks have made their presence known, from BW Gideons to 5 color Avatar of Might. Tune in tomorrow as we see who will reign supreme in Oakland at twitch.tv/magic.